Hi everyone! 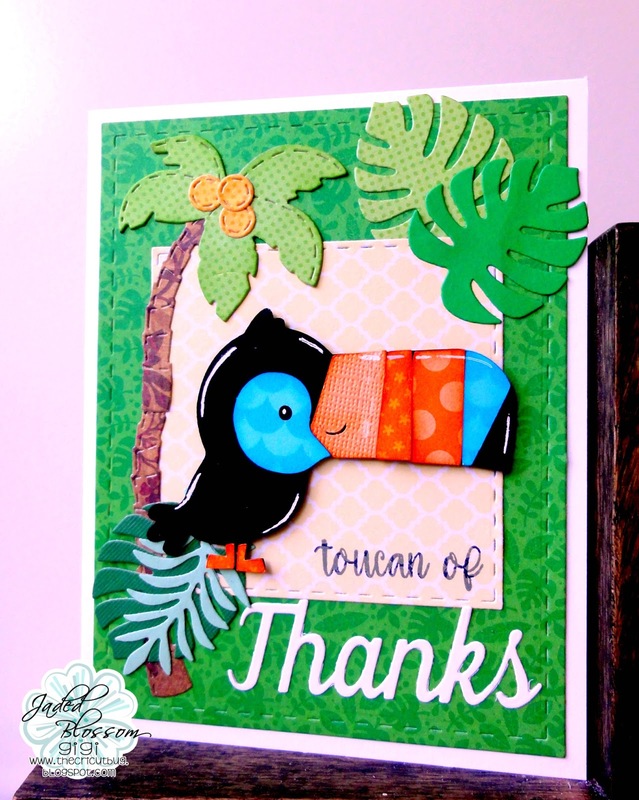 This is GiGi from The Cricut Bug and I am sharing this fun card I made. I used lots of JB goodies to create this card. 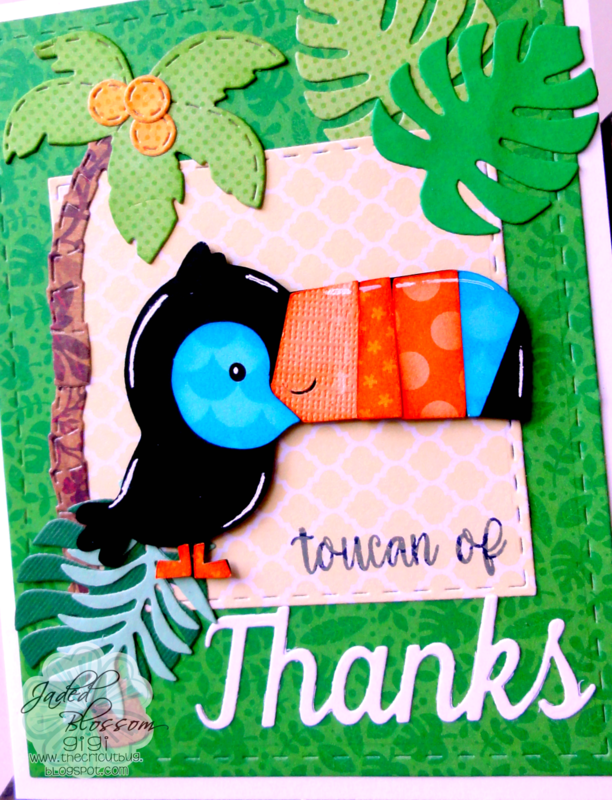 I added the inside mat cut with the Stitched Square Dies and cut the Toucan from a Doodlebug cut file. The leaves are cut from the Tropical Flower Dies and the palm tree is cut from the Tropical Dies 2. To finish, I stamped half the sentiment from the Toucan Of Thanks and the "thanks" is cut from the Word Dies. Beautiful card, I love how cute that bird is. I also love all the texture and colors. Wow, this is just so pretty. I love all the details in it!! Great job! !